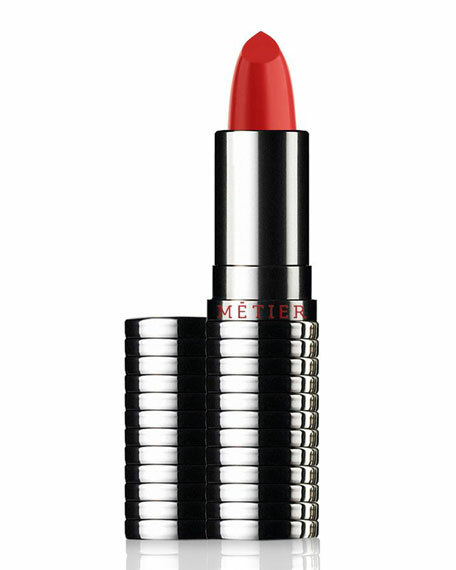 Stunning, healthy lips are yours with Le Métier de Beauté's new Hydra-Crème Lipsticks. The buttery, ultra-moisturizing formulation glides smoothly and evenly over lips for maximum comfort, long wear, and rich, brilliant color. Shades are a gorgeous mix of mattes and sheers, past favorites and new, on-trend hues. How will you ever choose? For in-store inquiries, use sku #249908.